Our 20 hectare "Land for Wildlife" property provides beautiful trees and a variety of flora and birdlife. It's home to kangaroos, possums, bandicoots and other animals and you will view some of these as you stroll along our walk trails. Located just 5 kilometres north-west of Margaret River township and within easy proximity of beaches, wineries, caves, forest and numerous tourist attractions. Cottages were completely re-fitted between 2009-11 and offer exceptionally comfortable accommodation. 8 delightful rammed-earth cottages situated on 20 hectare bush block just 5 kms NW of Margaret River township; and within easy distance of wineries, beaches and attractions. Beautifully presented, self-contained, rammed-earth cottages with private facilities, satellite television, cooking / dining and pot-belly wood stove (for those chilly winter evenings); and ideal for couples, families and small groups. You can stroll our delightful walk trails, relax in natural surroundings and visit nearby wineries and tourist attractions. We even provide a map and suggested itineraries - for your added enjoyment. Rates from $185.00 per night for 2 adults plus $25.00 / $15.00 for each additional adult/child (under 12 years of age). Check in from 2.00pm. Beds are made up and we also provide a simple "starter" breakfast. We accept Visa, Mastercard and American Express without surcharge. Sorry, no pets! 10 out of 10 is not an exaggeration, Margaret River has many good accommodation places, but this one is probably the best kept secret jewel and by writing this review I act against my interest, as I do not want to many people to discover it. Perfectly located out of Margaret River, but not to far, only few minutes drive on a very good road. For that you are in the middle of the bush with trees, shrubs and birds. It is under an excellent management by professional couple providing you with everything you need, being discretely around if you need any help but leaving you to enjoy your privacy and allowing you to be in one on one with nature. You can’t ask for anything better. Always a great place to relax and enjoy! Been going there since the 1990's and still wonderful. 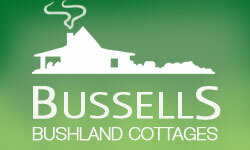 Lovely service and a well equipped, cosy cottage with a great view of the natural surrounds. Even has a fire place 😁😁😁. Not far from many wineries and other attractions. Recommend! Great place, good facilities in the cottage. Very peacefull. A great place to take family for a relaxing time. Enjoy the bush setting and best of all in winter you have a great fireplace. Have stayed 3 times now. Travelling south along Bussell Highway and just prior to entering Margaret River township, turn right into Carters Road, travel 4.5 kms and (just beyond the junction with Burnside Road), turn left into our tree-lined driveway. Proceed for 500 metres and our manager's residence is on the left hand side. For High & Peak Periods ( Public/School Holidays Christmas New Year Easter Long Weekends/Special Events) no refund will be considered for bookings within 30 days. Outside Peak bookings cancelled prior to 7 days before arrival will be refunded or monies will be transferred to an alternative date. For cancellations within 7 days refunds will only be considered for nights subsequently rented.